SAN FRANCISCO, Calif. /California Newswire/ — EPIC Insurance Brokers and Consultants (EPIC), a retail property, casualty and employee benefits insurance brokerage, has been recognized for a fifth year as a "Best Place to Work in Insurance" by Business Insurance Magazine and survey co-sponsor Best Companies Group. EPIC is one of only 75 companies nationally to receive this industry award. Based on employee feedback, the company took 5th place honors in the medium retail broker/agent category, where a total of just 15 companies were recognized. "At EPIC, we believe that an excellent work environment is built on innovation, personal accountability, mutual trust and respect, and a healthy work/life balance," said Mary Smith, executive vice president of human resources. "These beliefs and practices are key in attracting the industry's best professionals and providing the foundation for our consistent growth. We are honored to receive this recognition from our team members and Business Insurance for a fifth year in 2014." Recognizing the importance and value of a "people-first" culture, EPIC has developed a benefits package and work environment that attracts and retains top talent. The company offers its employees a generous paid-time-off package, a 401(k) match, a wellness program, and an annual employee appreciation day. Additionally, EPIC encourages its employees to participate in charitable events such as Susan G. Komen Race for the Cure, American Heart Association's Heart Walk and other community-service events, as well as supporting these efforts financially and with in-kind donations. 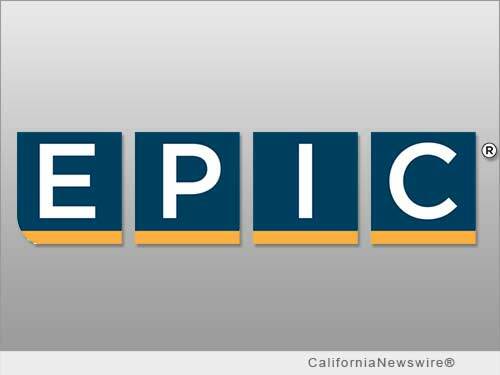 EPIC currently has nearly 650 team members operating from locations across California, Colorado, Connecticut, Georgia, Illinois, Massachusetts, Nevada, New Jersey, and New York. Headquartered in San Francisco, EPIC Insurance Brokers and Consultants has nationwide presence with a depth of industry expertise across key lines of insurance including commercial property and casualty, employee benefits, unique specialty program insurance, and private client services. Since its founding in 2007 EPIC has driven revenue growth from $5 million to $150 million through both organic growth and strategic acquisitions, and remains a fixture on the insurance industry's "Best Places to Work" lists. Its strategic partners include private equity firms The Carlyle Group and Stone Point Capital. To learn more, visit http://www.epicbrokers.com/ .